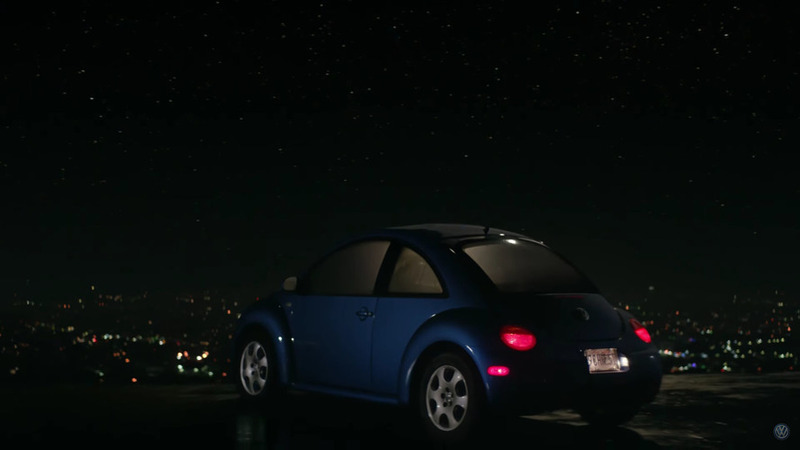 Starting with some nighttime canoodling in a Beetle, the couple must upgrade to a Jetta. Another late-night escapade forces the purchase of a Tiguan, and another amorous evening leads to the Atlas. Dean Martin’s jovial song “The Birds and the Bees” plays the whole time during the spot. 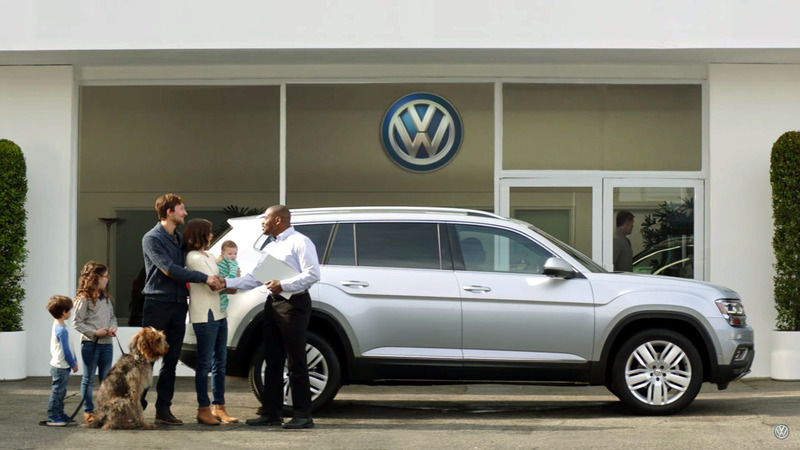 It’s quite a cute commercial and does a wonderful job of marketing VW’s big crossover to growing families. The only thing missing would be a better look at the model’s capabilities like providing more angles of the amount of room inside the CUV. The Atlas goes on sale this spring in the U.S. with a starting price of $30,000. VW isn’t outlining full pricing for it yet, but the company is offering a full suite of optional accessories like the R-Line pack with revised bumpers, side skirts, and 20-inch wheels. A fully loaded SEL Premium model and complete array of options should run buyers around $48,000. 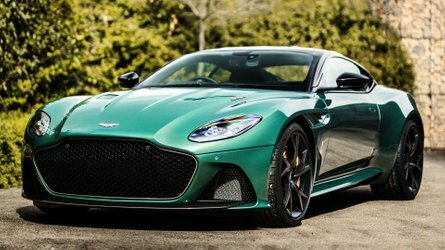 These top-spec examples include amenities like a digital instrument cluster and an eight-inch infotainment display that supports Android Auto and Apple CarPlay. 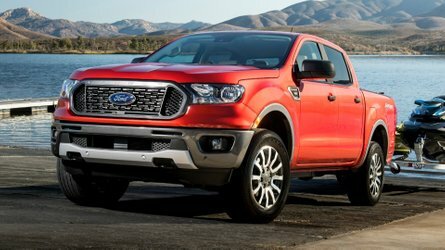 Customers can get the Atlas with a 2.0-liter turbocharged four-cylinder with 235 horsepower (175 kilowatts), an eight-speed automatic, and front-wheel drive. 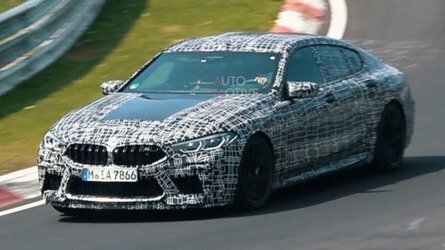 Higher trim models are available with a 276-hp (206 kW), 3.6-liter V6, the same gearbox, and all-wheel drive. If you think the Atlas could be a vehicle for carrying your whole family, then check out Motor1’s First Drive for our impressions of the big crossover. HERNDON, VA— Volkswagen of America, Inc., announced today the release of “Luv Bug,” the first TV spot featuring the all-new 2018 Volkswagen Atlas, which is scheduled to arrive at showrooms later this spring. 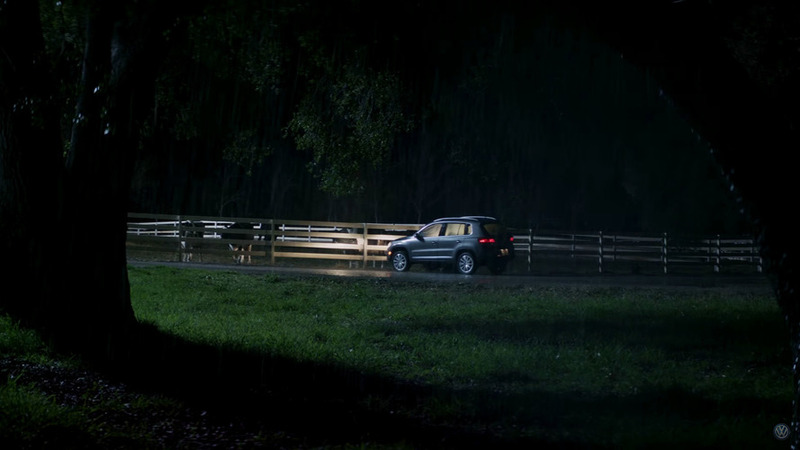 Debuting during Primetime on March 20th, “Luv Bug” heralds the arrival of Volkswagen’s expanded SUV lineup by sharing the story of a couple whose blossoming relationship results in the growth of both their family and their vehicle. Featuring the song, “The Birds and the Bees” by Dean Martin, the spot also introduces the tagline “Life’s as big as you make it,” speaking to the versatility and spaciousness that the Atlas offers for both families and adventure-seekers alike. Built in Volkswagen’s manufacturing plant in Chattanooga, Tennessee, the Atlas is the biggest boldest Volkswagen ever built in and for the U.S. market, and it has been specifically tailored to meet the needs of the American consumer. 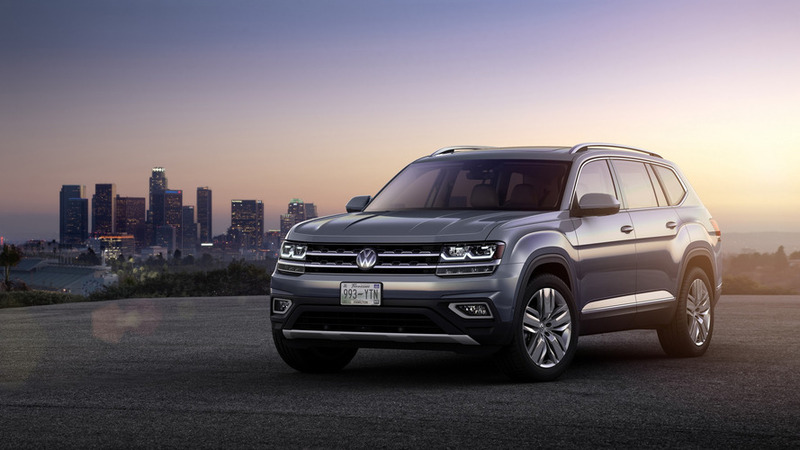 The Atlas offers class-competitive levels of technology and spaciousness combined with hallmark Volkswagen driving dynamics and attention to detail, all at a price designed to draw customers’ attention in the family SUV segment.